Joint fillers can provide protection against joint breakdown, and offer a beautiful "seamless" appearance to concrete floors. 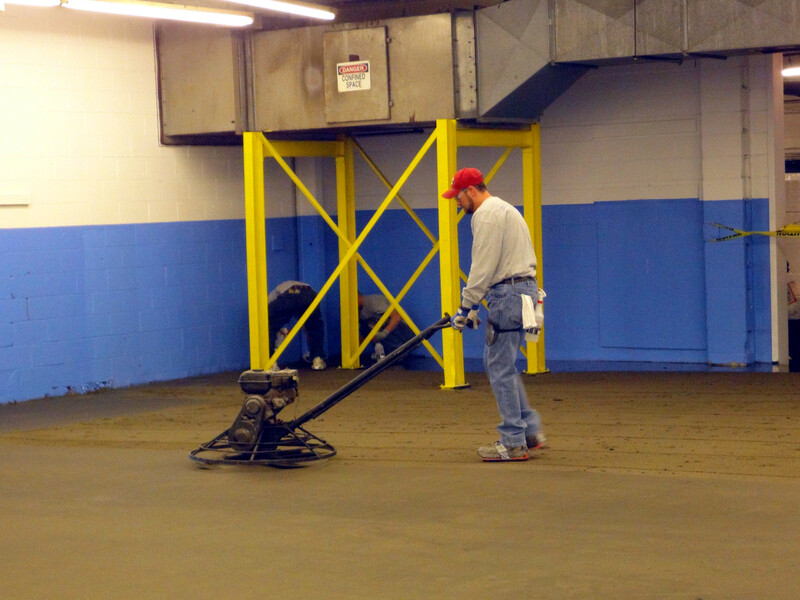 Nearly every concrete floor has control or construction joints placed at the time of pour. Control joints are cuts placed in the floor to "control cracking" during hydration (shrinkage). Construction joints, or pour joints, identify the termination of pour boundaries. 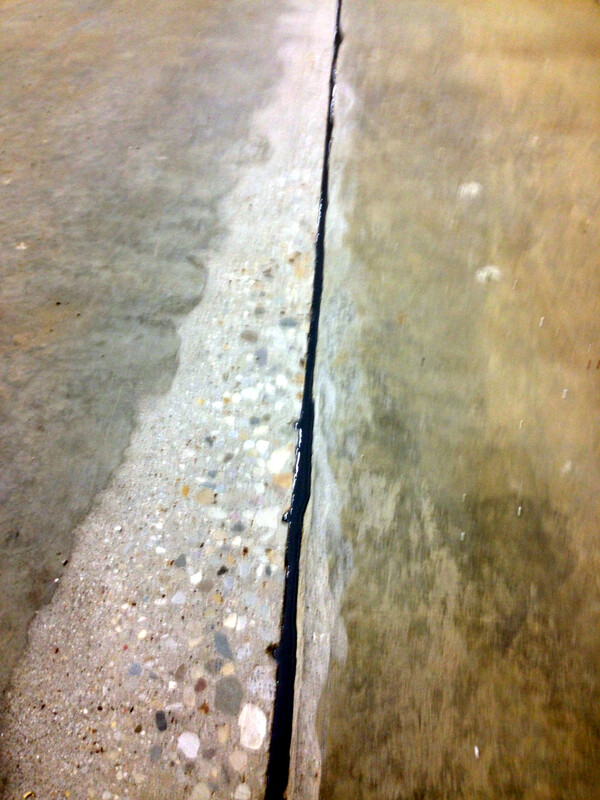 Isolation joints are placed to "isolate" an item from the balance of the floor. Today, there are three common types of concrete joint fillers; polyurea, epoxy, and polyurethane. Epoxy joint fillers offer exceptional hardness for protecting joint shoulders. Urethane sealants are elastic in nature, providing more elongation properties in dynamic joints. Polyurea joint fillers have become very popular in the past 10 years, providing more protection than urethanes, but more elasticity than epoxies. Most polyurea and epoxy joint fillers are installed via a plural component pump. Joints are cleaned, appropriately backed, and filled to excess with material. The excess is allowed to dry and later shaved to "flush". Urethane materials are normally installed by hand, and filled to the appropriate elevation (no shaving). The primary advantage to the polyurea is its speed. 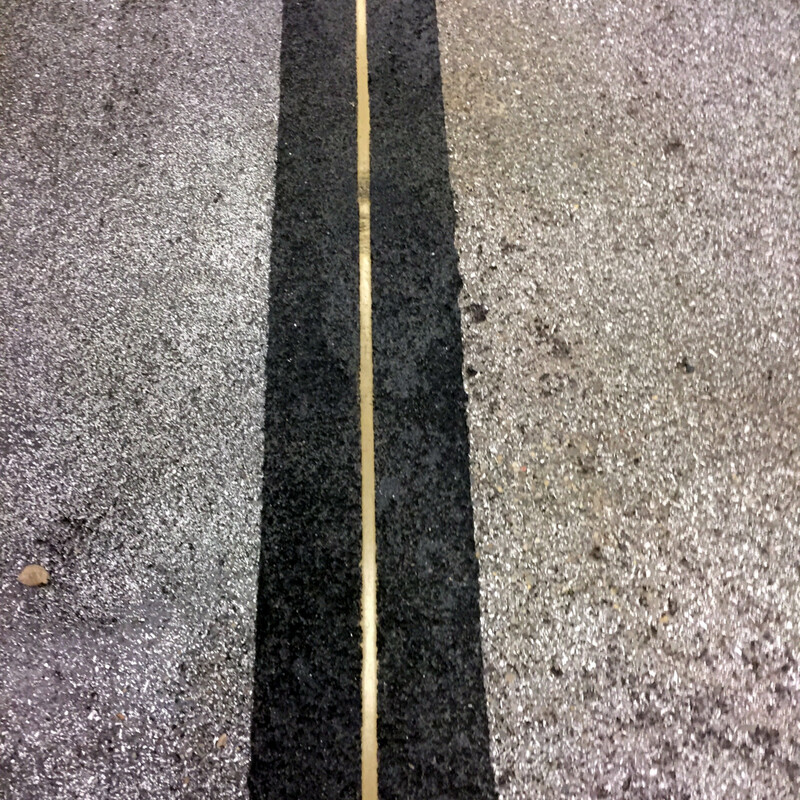 Polyurea joint fillers are dry, and ready for traffic in less than 10 minutes. Most epoxy joint fillers require 6-12 hours to dry, and most urethanes require 5-7 hours dry time. Joint fillers may be pigmented in a variety of standard colors. Consult your Rite-Way sales representative about the type of joint filler that is best for your unique environment.